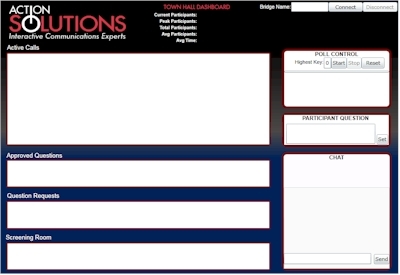 Action Solutions has developed an in-house Town Hall service using the latest in cutting edge technology. The Action Town Hall user interface created with Microsoft Silver Light 4 provides moderators real time, dynamic control over the Town Hall. Participants request to ask a question by pressing 9.